To start learning how to speak Japanese, please click on the blue link below and check out the 36 Japanese audio lessons that are available for you to download. You will get access to a complete printable transcript of the lessons and a number of Japanese grammar guides. All of this material is free. A shortage of time is perhaps the greatest barrier to people who are trying to learn a highly complex language like Japanese. These lessons allow students who want to learn how to speak Japanese to use time efficiently by combining Japanese language study with other activities, like exercising and commuting. The questions in the lessons are expressed in literal English, in the sense that they closely mirror the grammar used in the Japanese sentences. As a result, grammatically complex Japanese constructions can be readily understood, and students who want to learn how to speak Japanese are able to formulate answers with relative ease. These Japanese language lessons come with a complete transcript, including questions, answers, and extensive grammatical explanations. They also include a “Mnemonic Dictionary” with more than 2,800 entries. The documents are provided in both PDF and .docx formats, so that those who wish to modify them for personal use may do so. These lessons contain almost no redundant material, compared to other audio courses like the Pimsleur and Learn in Your Car courses, and therefore they are especially suitable for review, since no one wants to spend time listening to unnecessarily repetitive material. As you learn how to speak Japanese you will find it valuable to review each lesson a number of times in order to arrive at a deep intuitive understanding of Japanese grammar. This method, which presents sentences and phrases in English and asks you to translate them into Japanese, is a pleasant stimulus to learning how to speak Japanese. Somehow you don’t feel like walking away from this challenge. You don’t get frustrated. Why? I think it’s because what you are being asked to do seems relatively easy. You’re thinking in your own language. You can take as much time as you want. You can cheat by looking at the transcript. You don’t have to be perfect, since the lessons immediately correct your errors and make you feel that mistakes are unimportant. When you start to understand sentences that at first seemed impossibly difficult, the satisfaction that you experience makes you want to keep on learning. 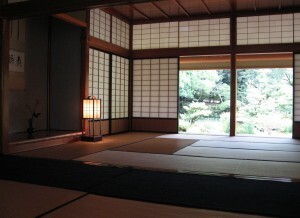 These lessons feature a more comprehensive and organized approach to Japanese language study than other available audio courses. 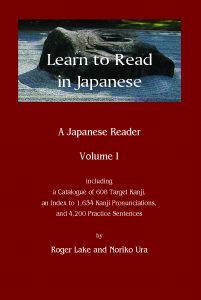 The first 27 lessons are modeled on an excellent Japanese textbook, Japanese for Everyone, and the lessons also include content based on a number of other Japanese textbooks and reference books,* as well as considerable original material. The lessons contain more than 30 hours of audio instruction, including more than 7,000 questions and answers. A student who learns this material will have acquired a thorough background in basic Japanese grammar and will be able to understand a high percentage of everyday Japanese conversations. In short, the student who has completed these lessons will be poised to achieve true fluency in the language. These lessons are free to anyone who wants to learn how to speak Japanese. We believe that they provide a rare opportunity for students of Japanese to achieve real competence in the language, and we want to make them available to as many people as possible. 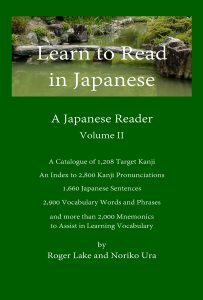 If you would like to rapidly enhance your Japanese reading skills, please consider buying the books shown below, Learn to Read in Japanese, Volume I, and Learn to read in Japanese, Volume II. They each pack an enormous amount of useful information into about 550 pages and, within a relatively short period of time, they will help you to start reading fluently in Japanese. You can read more about the books on this page. Japanese for Everyone, by Professor Susumu Nagara and nine Japanese colleagues, was first published in 1990 and then revised slightly in 2008. I am deeply grateful to the authors of this outstanding resource for the careful work they did in creating it. The audio flashcard lessons that we are offering on this site contain our original translations of many of the Japanese sentences found in this textbook. They also contain hundreds of sentences from other sources, in addition to detailed grammatical explanations designed to answer some of the questions that will come up as you study Japanese. I also want to thank the authors of a number of other excellent books that have helped me in preparing these lessons that teach how to speak Japanese: A Dictionary of Basic Japanese Grammar, by Seiichi Makino & Michio Tsutsui; An Introduction to Japanese Grammar and Communication Strategies, by Senko K. Maynard; Effective Japanese Usage Guide, by Masayoshi Hirose & Kakuko Shoji; Making Sense of Japanese, by Jay Rubin; Japanese Verbs at a Glance, by Naoko Chino; Nihongo Gohyakumon, Volumes 1, 2 & 3, by Noriko Matsumoto and Hitoko Sasaki; Japanese Language Proficiency Test N1, by the Intercultural Institute of Japan; and Nihongo Kaiwa Choo Mini Fureesu 200, by Noboku Mizutani, Tomoko Morimoto, Naoko Takahashi and Chie Matsumoto.